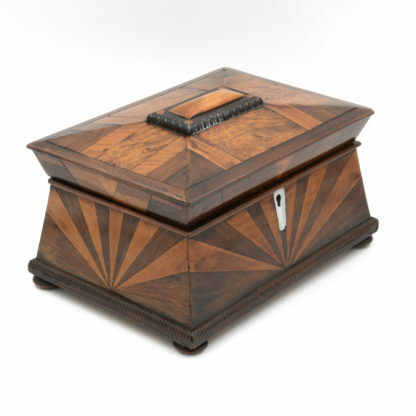 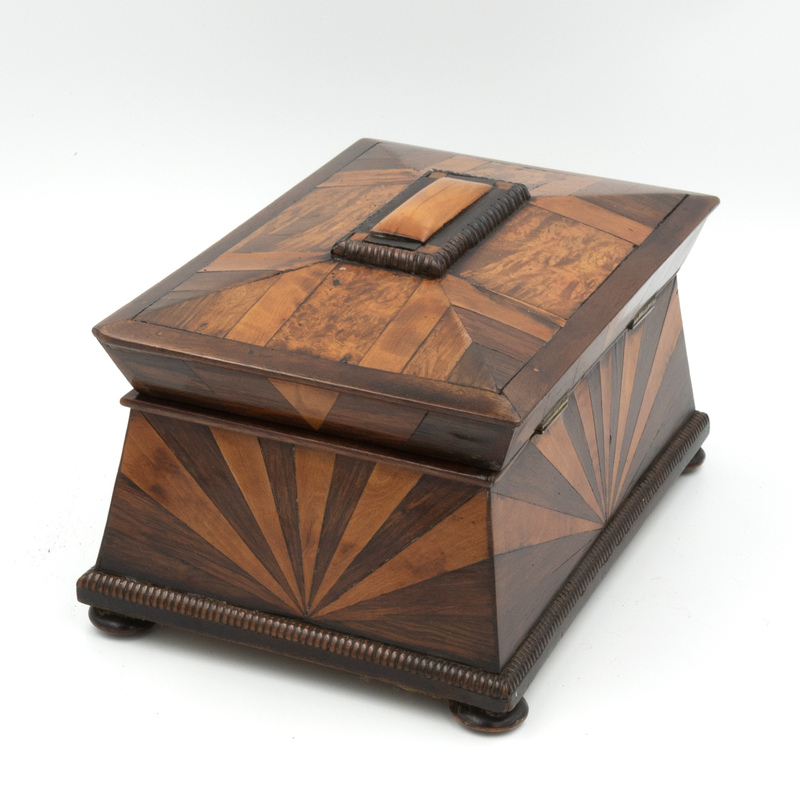 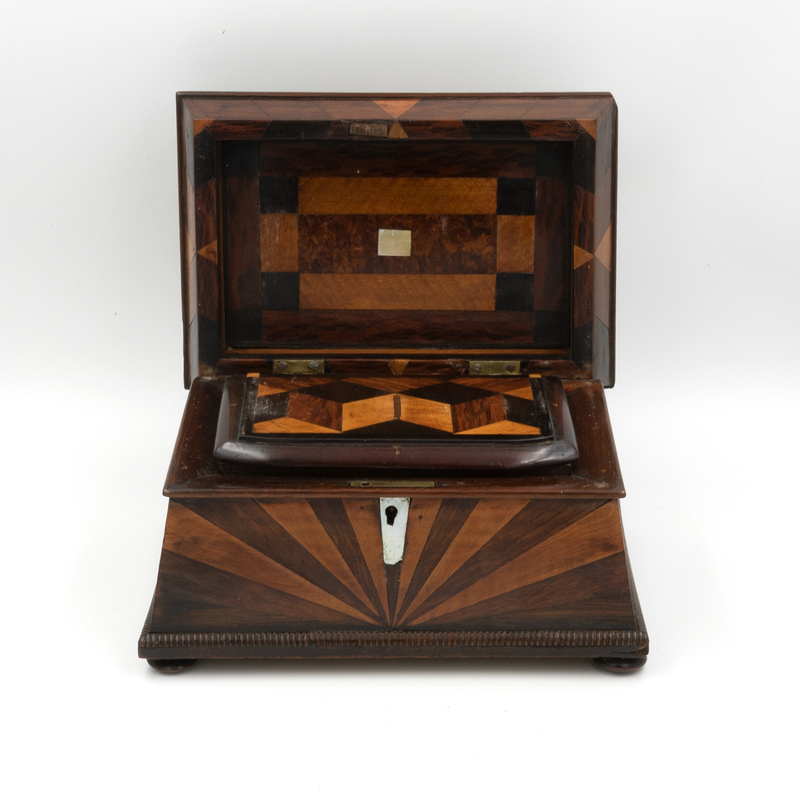 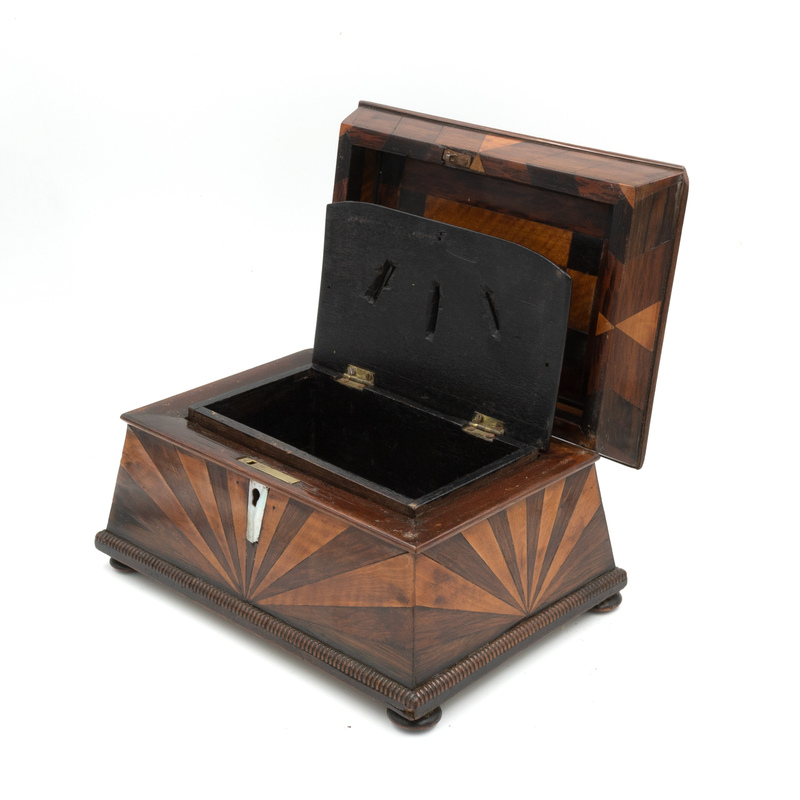 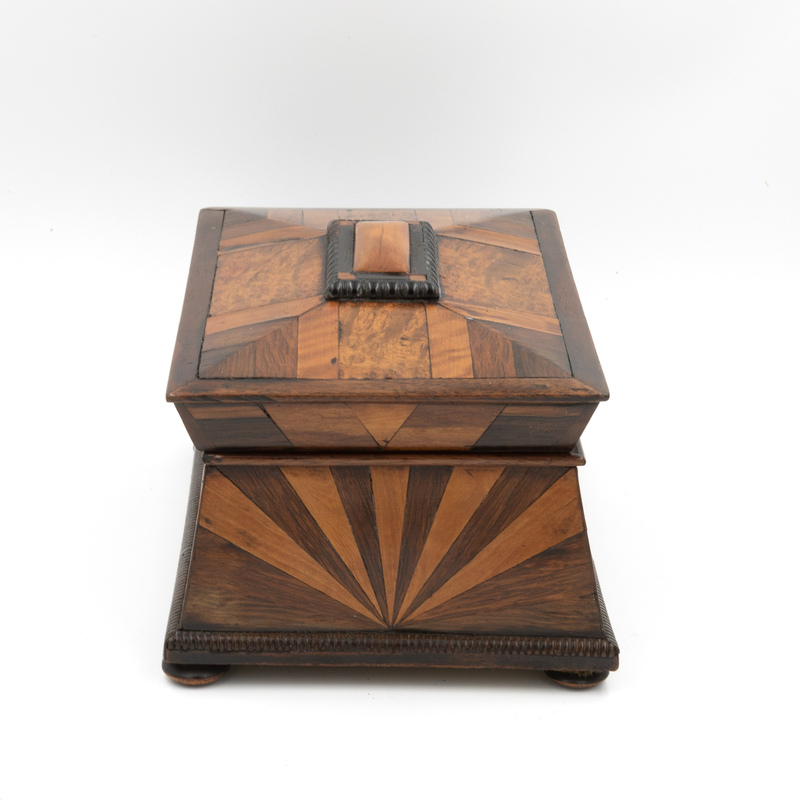 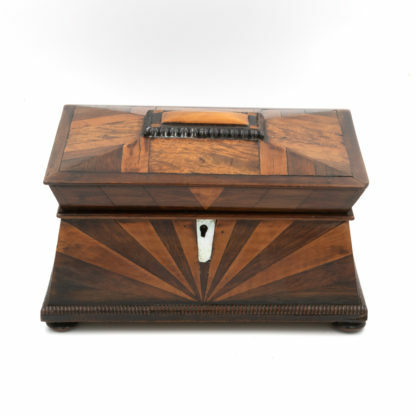 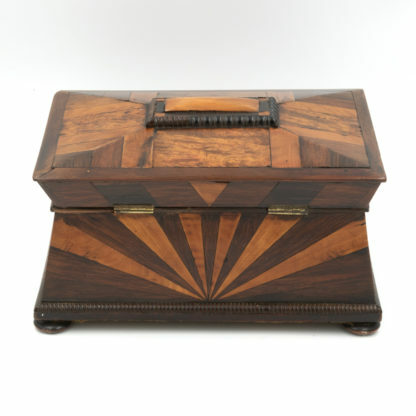 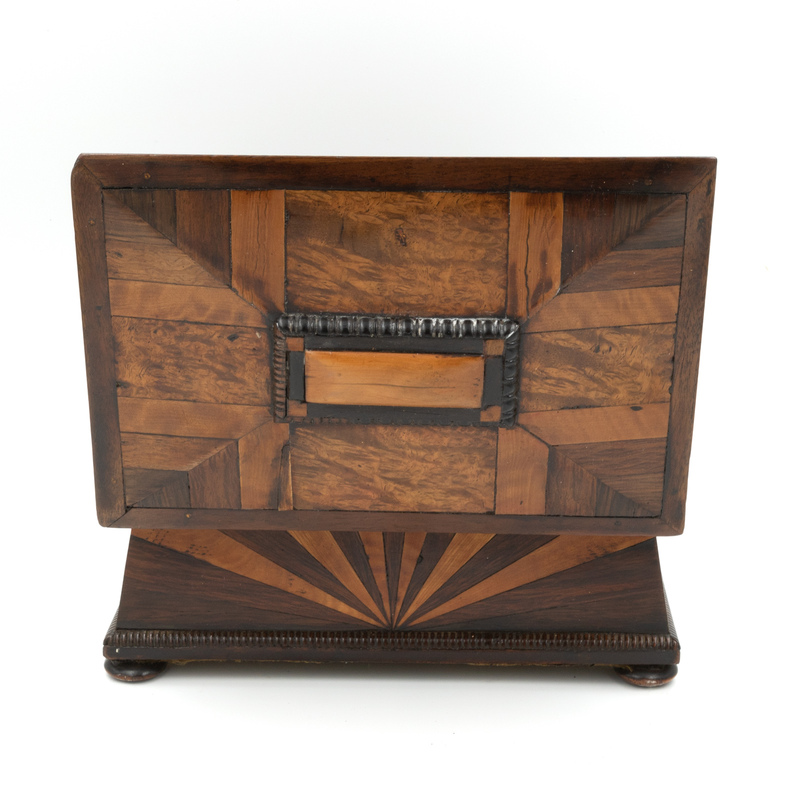 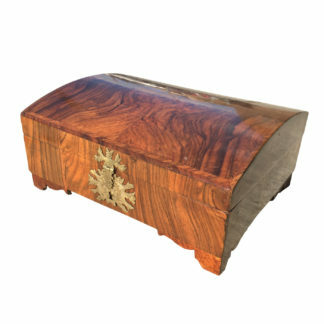 Home / Accessories / Boxes / Lovely Pagoda Shape Box With Sunburst Marquetry, English, Circa 1850.
height: 5 in. 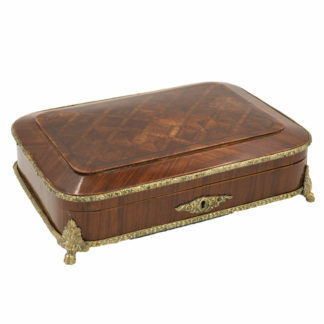 12.75 cm., width: 9 in. 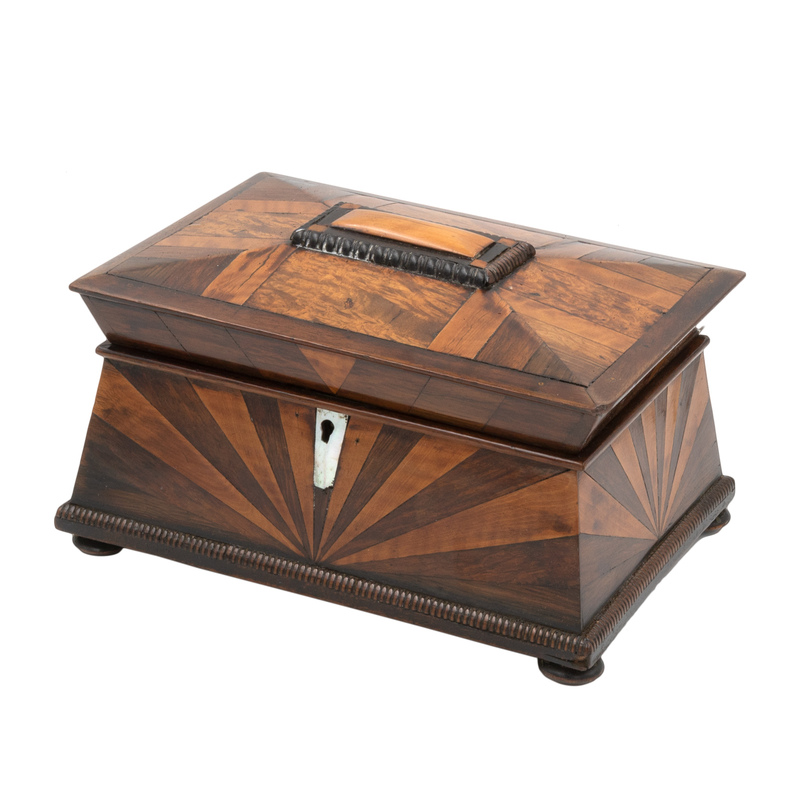 23 cm., depth: 6.5 in. 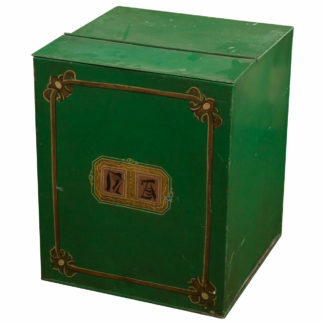 16.5 cm.